Drawing on the PSL experience, brands should take concerted steps to better measure their ROI on their sports marketing. 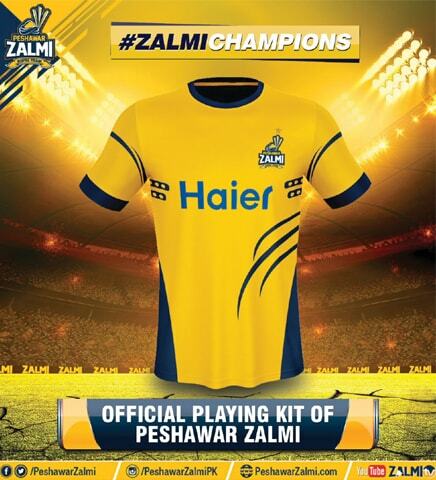 The Pakistan Super League (PSL) had the potential to become the biggest brand in Pakistan – and it did. 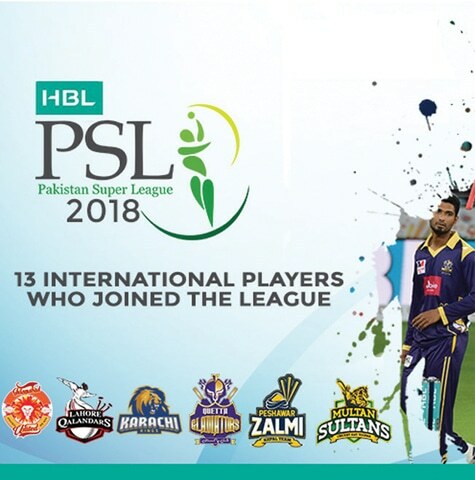 From audience ratings and engagement to marketing investment levels, today, PSL is the top brand in sports and entertainment. Building brand identity and awareness is critical during sporting events given that so many brands are striving to stand out. Consider the fact that brand strength contributes 60 to 80% to overall sales, which is vital for long-term growth in revenue and sustenance of marketing efforts. 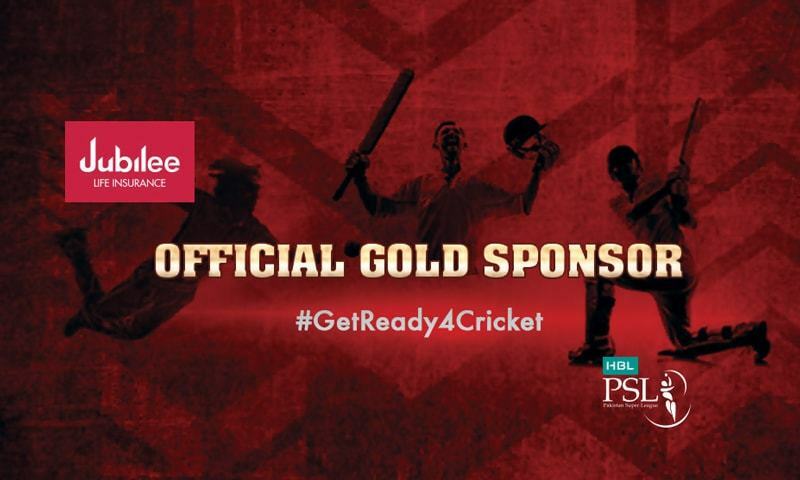 With this in mind, Blitz Advertising (which held the official broadcast and media marketing rights to PSL for the first three seasons) partnered with Pulse Consultants (a research agency) to find the answers. The research focused on measuring the impact of the different branding opportunities within PSL. With a key focus on MF 15-55, SEC A-C, we conducted over 16,000 telephonic interviews in Karachi, Lahore, Islamabad, Rawalpindi, Peshawar, Faisalabad, Multan, Quetta, Hyderabad and Sukkur, contributing 85% in Television Audience Measurement (TAM) weighting and 52% of Urban Population from #Census2017. In the early stages, the interviews were conducted on the basis of selected matches the day after play; in the final rounds in Lahore and Karachi, every match was covered. The gender split in the 5,000 plus respondents was 78% male and 22% female. Here are some key findings about PSL. 1. PSL was a 32 day-long event, therefore loyalties towards teams were fragile as they changed after every match was won or lost. Involvement and engagement with a particular team strengthened with the passage of time. It spiked once PSL reached Lahore and went through the roof in Karachi as many did not believe the final would actually take place there until the day itself. 2. TV dominated, although three percent watched the matches online. Looked at from the perspective of younger audiences, this translates to almost 15%. 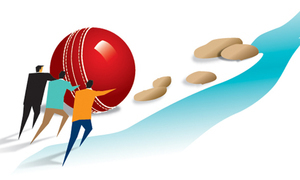 Cricketgateway.pk was the site mentioned by over 80% of respondents who said they watched the matches online. Globally, the best-performing marketing organisations can reallocate 80% of their marketing budget during a campaign, enabling them to react to campaign performance data and adjust accordingly. 3. The favourite player was Shahid Afridi (38%), followed by Shoaib Malik and Mohammad Amir. This changed during the final stages, with Darren Sammy becoming the second favourite player and Luke Ronchi in at number three. Karachi Kings were the favourites in the initial stages, followed by Multan Sultans and Peshawar Zalmi. 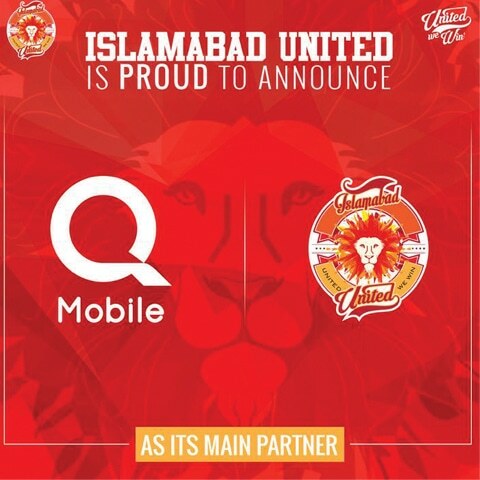 Later, Peshawar Zalmi and Islamabad United became the second and third favourite teams; Karachi Kings kept their top spot by a small margin even though they were not in the Final. 4. One hundred and sixteen brands were associated with the event, using various promotional platforms. The power of unaided brand recall can be seen by the 285 brands recalled by the respondents. We will soon be publishing a study on the impact of different branding opportunities in detail. 5. HBL’s investment paid off. Over 32% said they recalled the TVC being run during the matches, whereas in reality, HBL didn’t run any TVCs during the live transmission. This is evident from the significant unaided recall of the tournament’s name as #HBLPSL. Considering the record-breaking performance of PSL on TV ratings, this must have had tremendous impact on brand health parameters. Brands which invested above a certain threshold in TV advertising scored higher unaided recall regardless of their investment level. Boom Boom Bubble Gum enjoyed the top spot in the initial stages, with Allied Bank, Haier, Oppo, Jazz and Jubilee stacking up close. In the final stages, Allied Bank took the top spot. I reckon it had to do with Afridi’s absence on ground, but there may be other factors to consider. Although a more in-depth analysis of the scale of ROI is required, here are some basic points to keep in mind (the intention is not to school marketers, but to remind them of some simple rules we tend to ignore). With money to be made and investments to be justified, we too often rely solely on reach or ad equivalent calculations. Even worse is the poorly constructed research which asks consumers to directly attribute a specific ad or activation on a future purchase process related action. Although this is intended to gauge impact, its value in practice continues to confound me. Building brand identity and awareness is critical during sporting events given that so many brands are striving to stand out. Consider the fact that brand strength contributes 60 to 80% to overall sales, which is vital for long-term growth in revenue and sustenance of marketing efforts. Brands therefore need to consider the following when investing in sponsorships and advertising. There is no rocket science to understanding what a brand’s most powerful asset is. The logo of course and logos are everywhere... before, during and after the event. Added to this, there is the social media exposure that flows in every direction during and long after the end of the event. So make sure your logo appears prominently; use an ugly white patch behind it if it doesn’t, or change it if it looks like a mosquito on the screen. Most fans uploaded images, memes and video clips on social media, but rarely included branded hashtags, making it almost impossible to monitor and eventually measure. When you have spent millions in sponsorship and advertising, spend a little more and get your hands on a logo-detection solution (look up ‘logo grab’) to help calculate the ROI generated from your investment. And don’t stop there; a systematic commitment to analytics will help you identify the sponsorships that created value and those that didn’t. To understand how to measure the ROI sponsorships and advertising generate in events of this stature, brands need to decide the level of exposure they want to attain in order to score on their objectives. 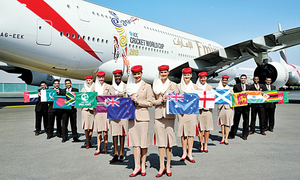 Logo placement on team jerseys and stadiums is a common way to do this, although many brands which sponsor individual athletes beyond the tournament have a better chance of maximising their ROI. Brands need to get closer to the consumer decision journey and figure out the stage (awareness, consideration, purchase and loyalty) their marketing investment can support. Brands need to implement a marketing ROI programme based on key metrics (cost per reach and unaided awareness per reach) to measure the performance of sponsorship spending. Defining the best marketing mix is not easy in a world of multiplying touchpoints. If you are spending heavily on TV, make a complete 20-second version; long duration TVCs that are adapted look forced and rushed. Furthermore, if you keep running the same TVC during every break in every match, every day, be ready for audience backlash. You need to have multiple versions (I don’t mean multiple adaptations). Ignore this and expect to see your campaign make it to the top of the list of the ‘Most Annoying Ads’ by bloggers. 4. Budget based on the right criteria! You may be looking for growth, profitability, gross margins or just unaided recall. Make sure you have a set criteria that is easy to understand and that can be aligned to your budget proposals to compare opportunities. With the velocity of change, build in flexibility into your budgeting process for events such as PSL to allow room for experimentation and make changes based on performance. If your company does not effectively quantify the impact of events requiring significant spending, you will face the consequences. The critical element of becoming a more effective analytical marketing organisation is an ability to act and react quickly. Build budgetary flexibility into campaigns to make the most of opportunities that pop up. Globally, the best-performing marketing organisations can reallocate 80% of their marketing budget during a campaign, enabling them to react to campaign performance data and adjust accordingly. Without that commitment to research and ROI assessment, the marketing function will continue to struggle to deliver on its potential impact. 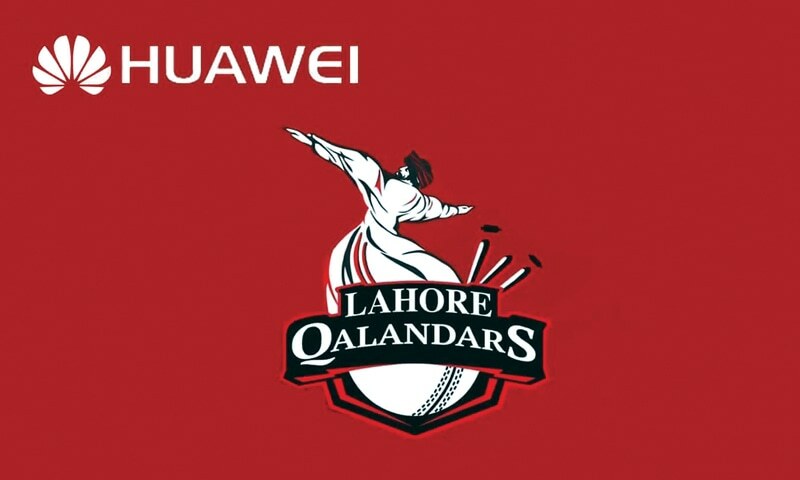 Given the way the sports marketing ecosystem is evolving in Pakistan, we need more robust KPIs of brand resonance and simpler research designs that seek to uncover target/ fan/ consumer/ stakeholder’s emotional connection to the specific attributes a brand is seeking to communicate relative to the competition. We need to begin to measure the impact of our efforts, because only then can we move beyond impressions to something we can sink our teeth into. Can't imagine how many tantrums the teams at Blitz threw over this. Did anyone lose it for not being co-authored? Good article.